The SceneGate 8073 is an ideal STB to deliver IPTV and OTT services or to be used as cost-efficient “second room” STB. While small in size, the latest system on chip technology provides enhanced processing power and memory, allowing sophisticated applications and attractive user interfaces. 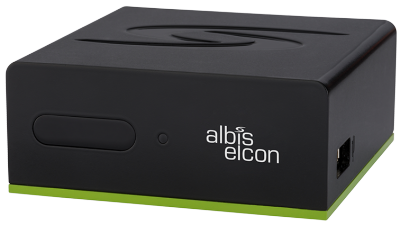 albis-elcon has made exceptional efforts to optimize the system and graphic performance to its best. The flexible software framework provides open APIs for integration with native or browser based middleware clients and applications. For integration with today’s internet media offerings, the software framework can be extended with a flexible media engine allowing demultiplexing and decoding of the most popular container and codec formats including flash video. In addition DLNA based media sharing is available for applications to allow in-home streaming or multi-room concepts. With its contemporary design the SceneGate 8073 is a cost-attractive entry level device for today’s living room services. High engineering quality and optimized software guarantee excellent user experience and customer satisfaction for your services.